Adrian made his name at Velocity, where his work featured repeatedly on sites like Shots; won everywhere from the Clios to Dubai Lynx to The Loeries; and was named Millward-Brown’s Best Liked Ad of the Year, among other accolades. In addition to his advertising work, Adrian exhibits his black-and-white landscape and abstract photography as Republic of Nowhere. His strong photographic eye is evident in all his work but he’s a true all-rounder, as comfortable working with complex VFX and animation as he is with performance and story. 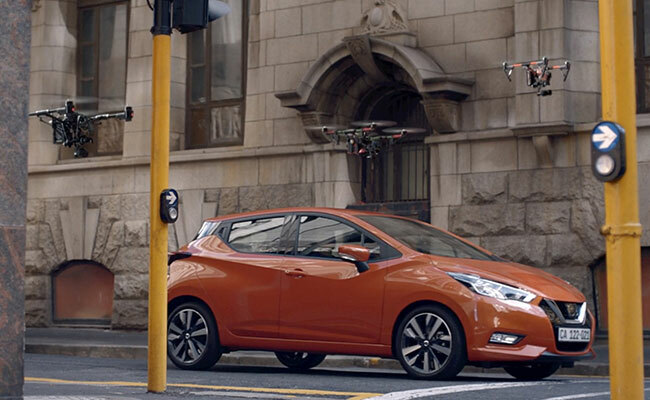 Watch Adrian’s latest ad, Nissan Micra Drone Racer for TBWA, at https://vimeo.com/292342818, then check out his reel at https://www.adsg.tv/ and his photography at https://www.republicofnowhere.co/. Egg Films represents ADSG and directors Brent Harris, Dani Hynes, Kyle Lewis, Lebogang Rasethaba, Robin Adams, Sunu and Zwelethu Radebe. We do advertising, content, culture, music videos and other things too. For more information, visit eggfilms.tv.